Here’s a tentative list of ski openings in Vermont, courtesy of SKI VERMONT!! 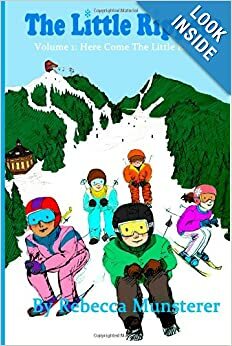 Here Come the Little Rippers, Volume 1, is about kids who ski together in Vermont! Go West, Little Rippers, Volume 2, is about kids who ski together in Colorado! Are You A Little Ripper? Email us at thelittlerippers@gmail.com or snail mail us at P.O. Box 813, Norwich, Vermont, 05055. Send us a picture of you ripping up the slopes, and you might be chosen as the Little Ripper of the Week! You'll receive worldwide recognition, and a pretty nice Little Ripper t-shirt!